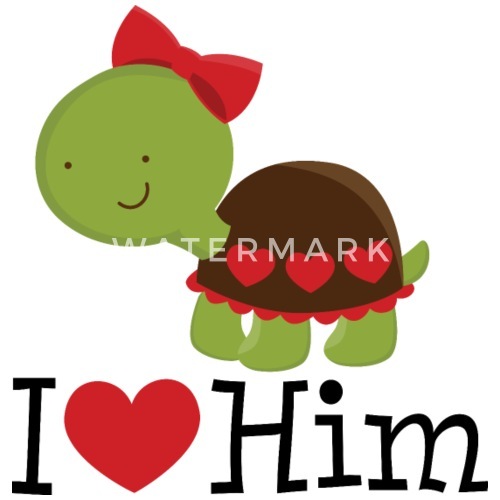 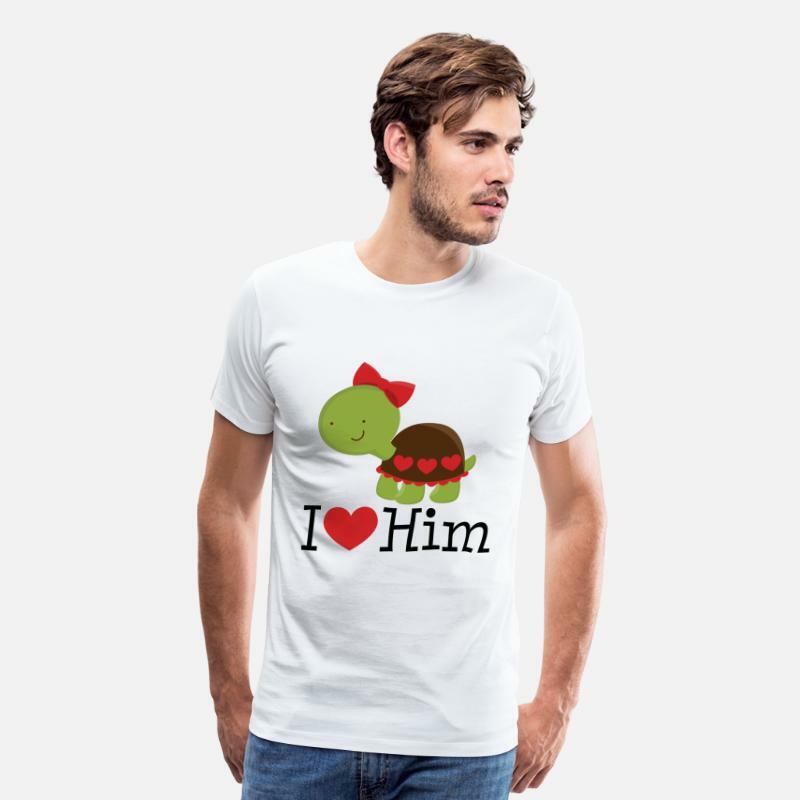 I Love Him turtle design for Valentine's Day. 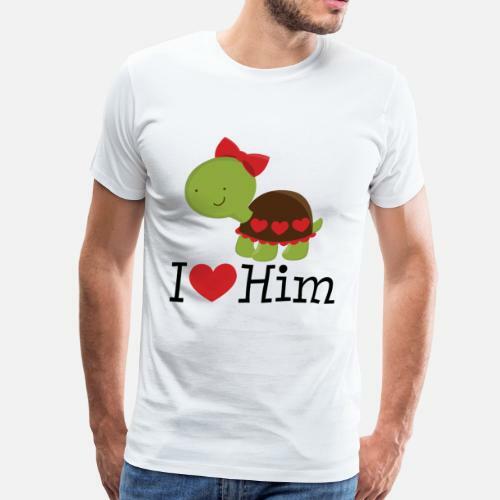 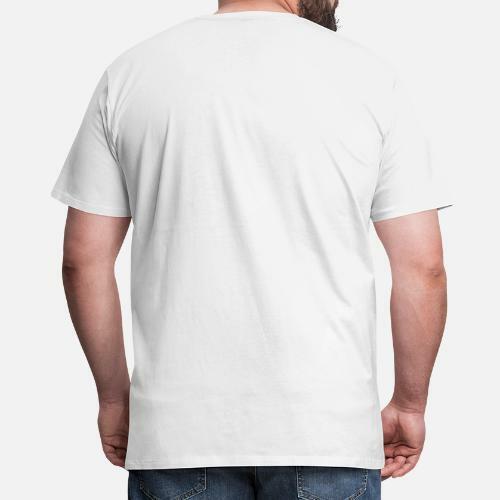 Cute girlfriend gift for your sweethear. 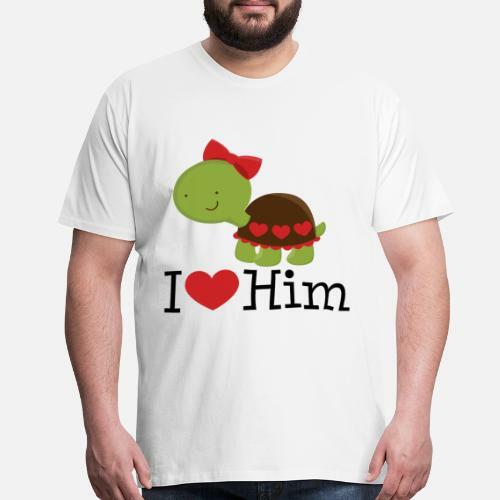 Get the matching I Heart Her turtle design for a boyfriend too.